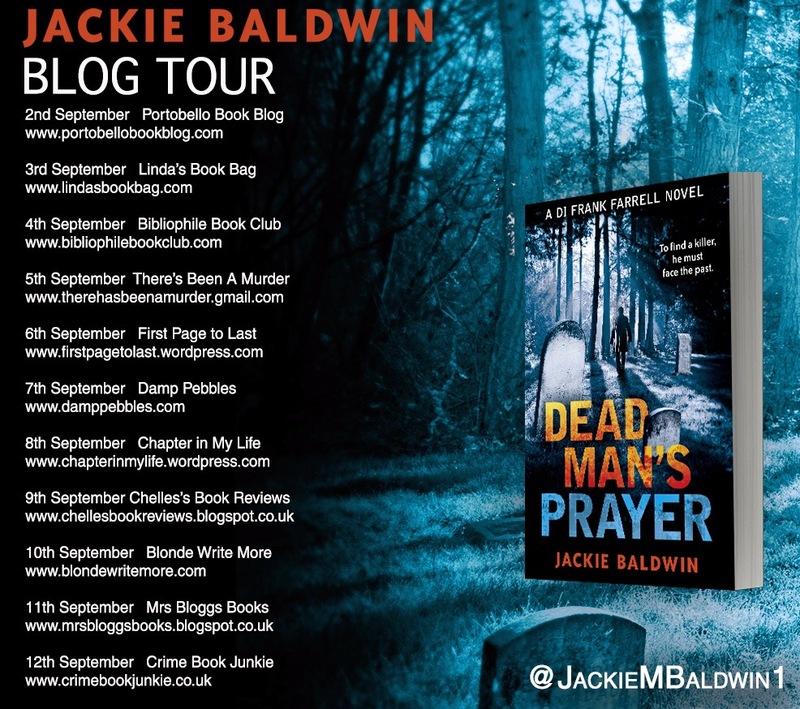 A huge thanks to Jackie Baldwin and Harper Collins for asking me to participate in the blog tour for the recently published “Dead Man’s Prayer”, I was delighted to be asked! Jackie Baldwin practiced as a solicitor in a rural town for twenty years specialising in family and criminal law. She then trained as a hypnotherapist and now works from home. She is married with two grown up children and loves to walk with her two dogs in local forests. She is an active member of her local crime writing group. 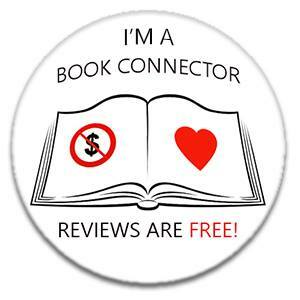 I was delighted to be asked to review this book from a new Scottish author and for a book set in Dumfries and Galloway area – this is an unusual setting as most of the books I read are set in Glasgow or the central belt of Scotland. 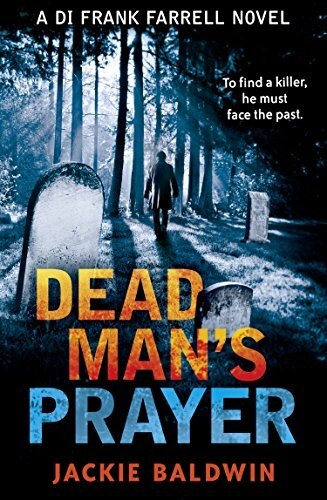 Let me tell you – after reading this, Dumfries and Galloway is not the quiet and quaint little area that you might think it is….we have a murdered priest, abducted children, a convicted serial killer in the community and an ex priest turned policeman! Who would have thought it! The book got off to a great start, gripping plot lines to draw the readers in and a number of interesting characters that will grab your attention – I found myself wanting to know much more about Frank Farrell’s decision to leave the priesthood for the force and what is it about DC Mhairi McLeod that makes her “party cop” to the detriment of her reputation in the force? The main plot around the murdered priest and the abducted children was tense and nerve-wracking and as the book progresses the reader finds themselves drawn in even more, so many secrets and lies unfold and it was here that the book begins to take more shape for me. By the end of the book my heart was racing and I couldn’t go to sleep until I had finished it! I found myself drawn to Farrell and McLeod as their characters developed; I think they make a winning team! 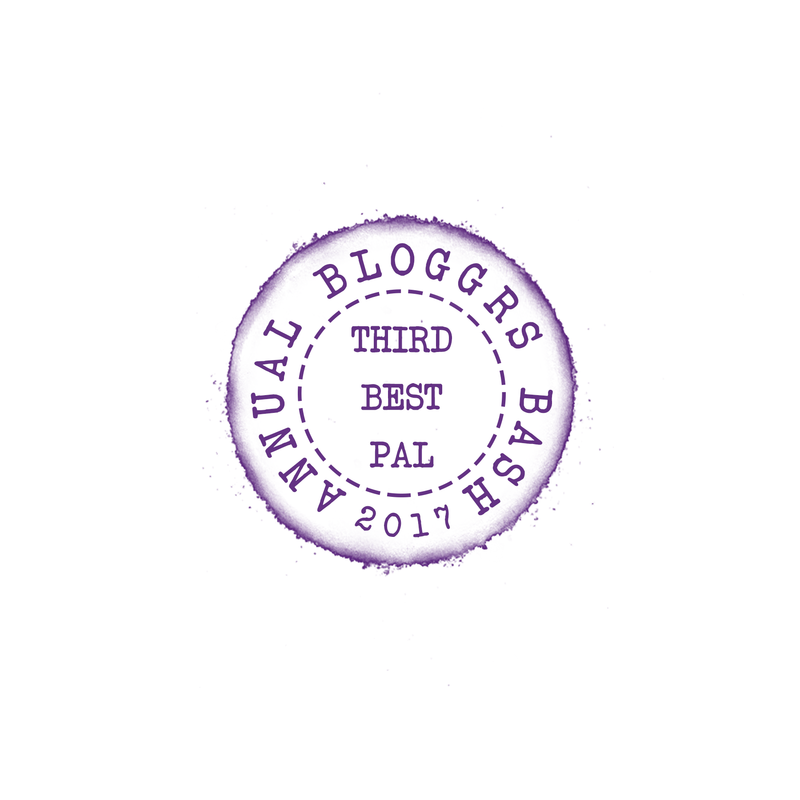 Farrell’s background fascinates me and his relationships with other characters are something that I hope will be explored further in the coming books; his emotional connections with Dumfries are certainly a tangled web and there are sure to be some twists and turns as the series develops. I think the characters in this series are going to be intense and fascinating & I am really looking forward to seeing how they develop! The plot/sub plots underlying the book are great, they are what ticks my box when reading a crime novel; the location is superb – a wee quiet area which hides a multitude of secrets. Connections that unfold and twist there way into the storyline. I would have liked a bit more background or depth and it left me feeling slightly frustrated as though I was missing out on something e.g. Frank’s background and Mhairi’s apparent lack of self esteem are all areas where I felt as a reader that I was left with questions unanswered. Some of these were addressed as the book progressed but at the beginning left me with a feeling of missing something as a reader. However, this isn’t the end of the world, this is a first novel in a series and all of this can be built upon in future books in the series and I will certainly be following the series to see where it goes. To buy the book jump over to that place called Amazon and get clicking!